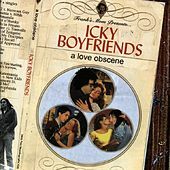 The Icky Boyfriends were a much-loved, much-hated but mostly ignored band from the Bay Area in the late 1980s and mid '90s. 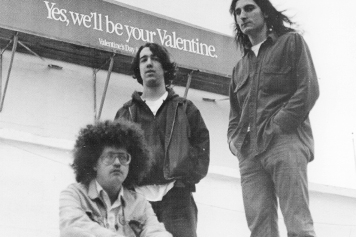 While the majority of the nation's rock bands were either aping or setting the pace for the grunge movement, the Ickys were playing almost unbearably incompetent punk rock reminiscent of the seminal Cleveland band Electric Eels, who along with Rocket From the Tombs started an insurgence of avant- garde proto-punk in that city in the early '70s. The Icky Boyfriends often sound as if they were birthed from the same debilitated mother as the Electric Eels, the difference being that the primitive standards of early punk sound like Rush next to early Ickys' recordings. Inabilities aside, the Ickys often stumbled across riffs so brilliant, their talent-free persona becomes a non-factor and their music brings back the idea that primal energy matters much more than hitting the right note -- or even a note. Fronted by Jonathan Swift, a towering mumbler with an afro and a talent for lyrics that were hilarious, heartbreaking and poetic all at once, the band released a string of 7-inches and a couple of full-lengths over a five year period before self-destructing in 1995. Their shows were legendarily chaotic and, in the sacred SF tradition started by Flipper, often played with the intention of driving people away rather than attracting new listeners. 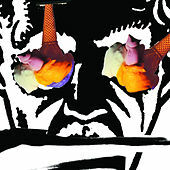 The Icky Boyfriends are among a handful of bands that, throughout the years, have thankfully kept rock 'n' roll stupid.